It is my pleasure to welcome you to Doral, one of the fastest growing cities in the nation. I want to thank you for we know you could have chosen to go to any city, but you chose Doral for your business venture. Here, we take pride in providing entrepreneurs with tools that can help them succeed. In addition to great customer service, we offer business owners a "New Business Welcome Packet" on our website. This packet provides invaluable economic data, information on business assistance programs, and links to important business development resources. You' II also find how to obtain or renew a Business Tax Receipt, and how to bid on city projects. You' II also learn how to register for the 'Spend Local, Shop Local' program as well as how to apply for a Façade Improvement Grant or the PACE Program. Your company will also reap the benefits of a wealth of economic data about our city's business climate, its top industries and its remarkably diverse demographics. While on our website, I urge you to join our mailing list and follow the City of Doral on social media so you can stay informed about news and events that may help you grow your business. Once again, the City of Doral remains at your service should you have any questions. We look forward to continuing to help your business succeed in our neighborhood. (305) 593-6725, Ext. 3002, or at mayor@cityofdoral.com. Grants and Programs to help! How is Doral driving Economic Prosperity? Join now and Support our troops! See what your Economic Development Division does for you! Have you ever had a question, concern, problem or complaint that has gone unresolved because you couldn't figure out the proper agency or resource to contact? Well... we have the solution. We have created this A - Z Resource Guide to assist people just like yourself, to find the most appropriate place to find what you. 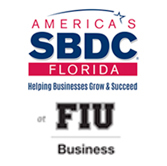 Florida’s SBDC @ FIU brings local companies a team of highly experienced business experts who offer confidential, no-cost consulting to entrepreneurs and business owners looking to grow. The U.S. Small Business Administration (SBA) has delivered millions of loans, loan guarantees, contracts, counseling sessions and other forms of assistance to small businesses. 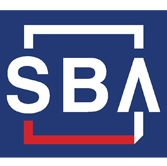 Over the years, the SBA has developed many small business loan and assistance programs, special outreach efforts and initiatives to aid and inform small businesses. Stay up to date with news from City of Doral. Understanding the importance of planned growth to our City, the Mayor and Council created an Economic Development division. This division is devoted to elevate Dora! 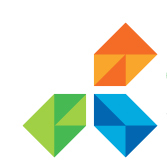 as the international and domestic destination for trade and commerce. The Economic Development division assists with the planning, analysis, implementation and development of various projects relating to revitalization, community development and the creation of redevelopment areas in the City of Dora!. In addition, it will capitalize on the City's opportunities and assets in partnership with the business community.